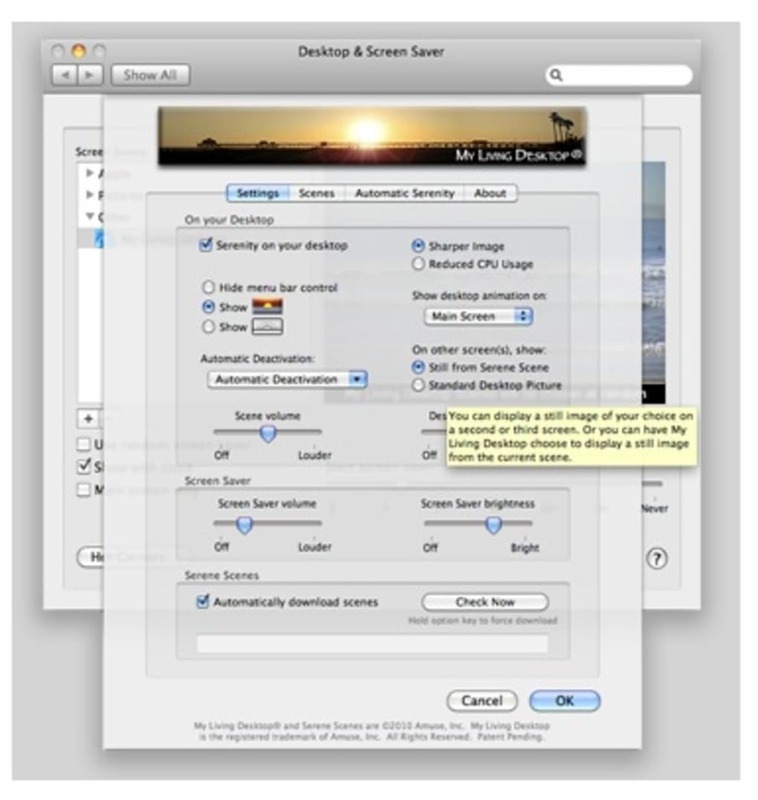 Note: Version 5.3 is for OS X 10.7 Lion and OS X 10.8 Mountain Lion only. 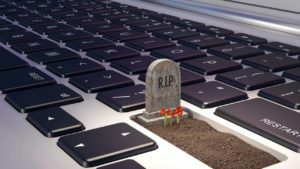 Do not upgrade if you're using Mac OS X 10.6.8 Snow Leopard. Are you bored with using pictures as your desktop background? 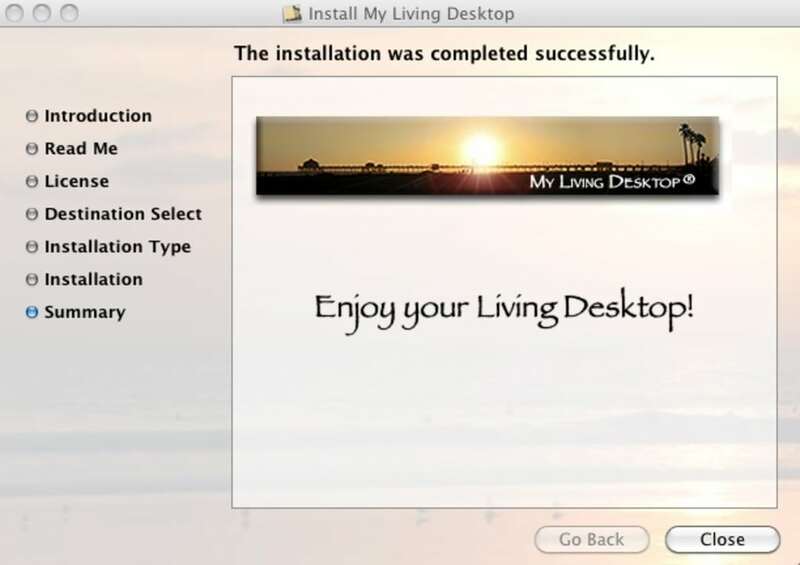 Then why not use a video with My Living Desktop? 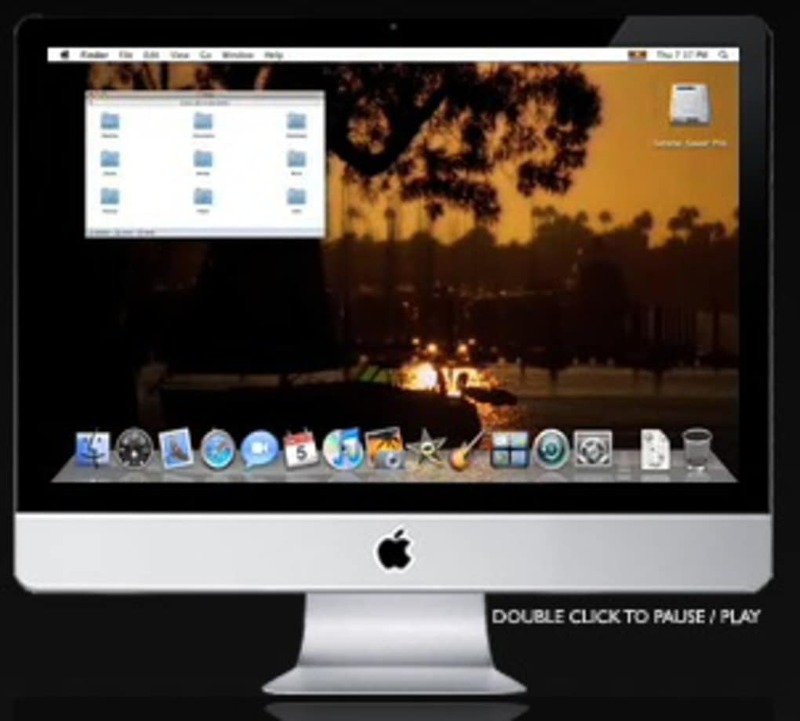 My Living Desktop is an interesting blend of a video desktop (i.e. a moving wallpaper) and a traditional screensaver. 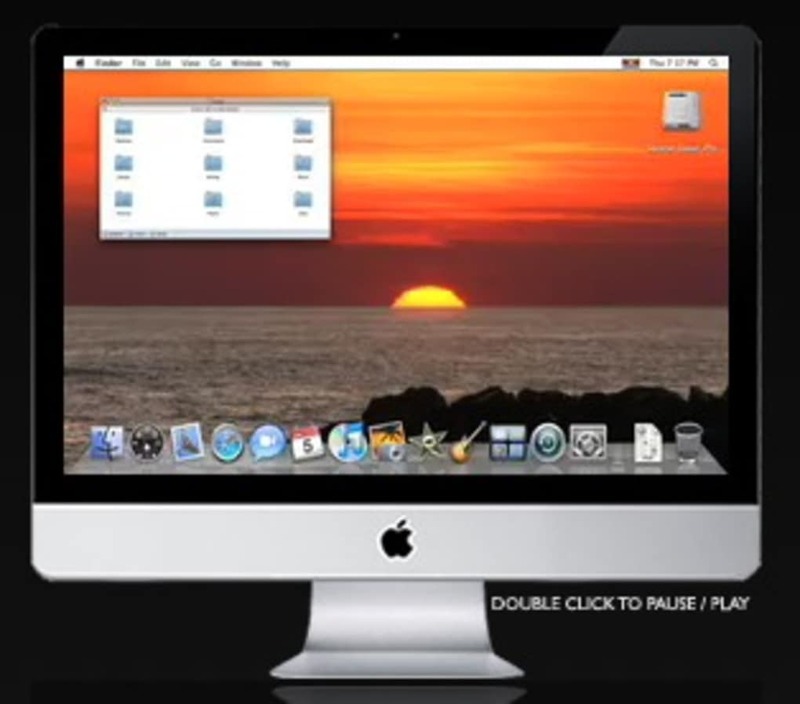 The aim is to turn your desktop into a moving, soothing living environment although you can use any video you want, including home movies. There are 26 relaxing high definition video scenes from around the world to choose from however to get you started. While many will be tempted to add their own video, relaxation is the aim of My Living Desktop. 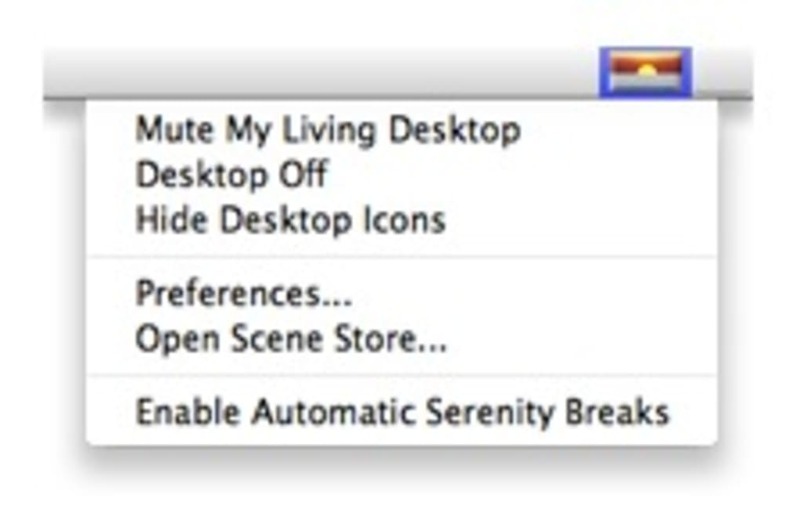 There's even an Auto Serenity Break which reminds you when its time to take a break from the screen. If you like particular scenes in the videos, you can rate them so that My Living Desktop replays them more. And while you might think that My Living Desktop might slow down your machine while you're using it, there's actually no noticeable difference. However, My Living Desktop will only appeal to those who can handle distractions as the moving images can actually become annoying in the background. 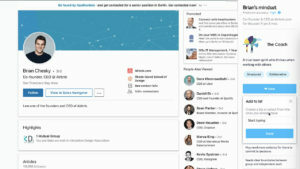 In addition, it's probably an application which will be more appreciated by those using large screen displays rather than laptops. 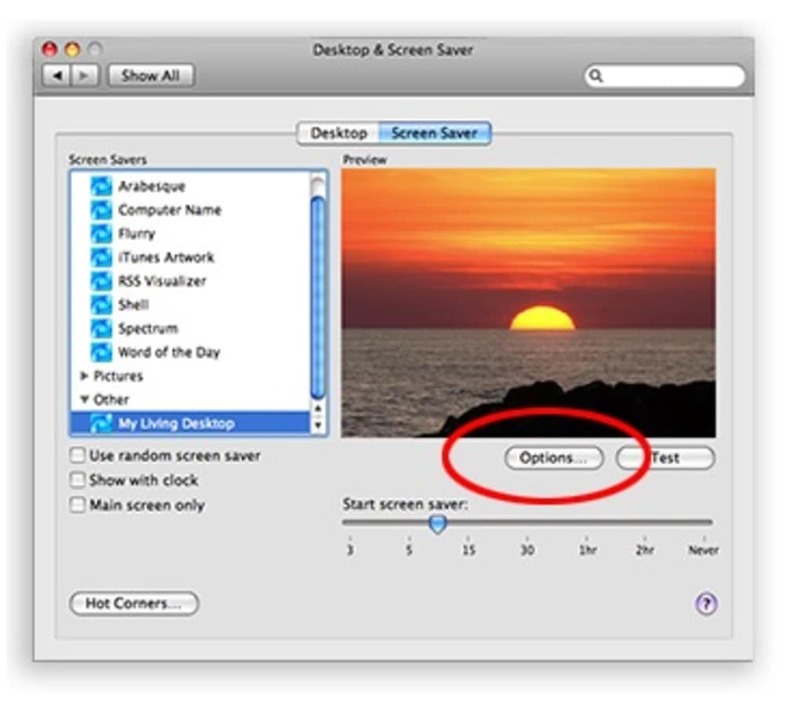 It also automatically installs itself as your default screensaver although you can change this in your Mac System Preferences. However, there's no denying that it's visually eye catching and it sure to create a stir by all who see it. 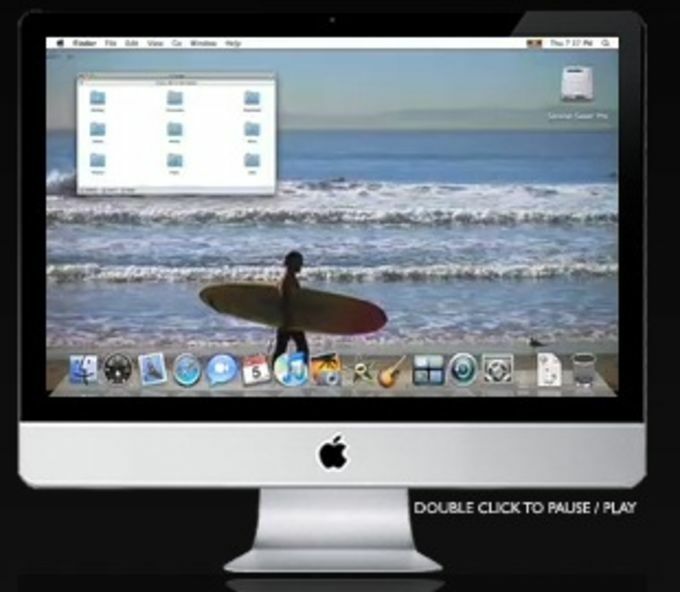 My Living Desktop is an original way of trying to bring your desktop alive with video backdrops. What do you think about My Living Desktop? Do you recommend it? Why?